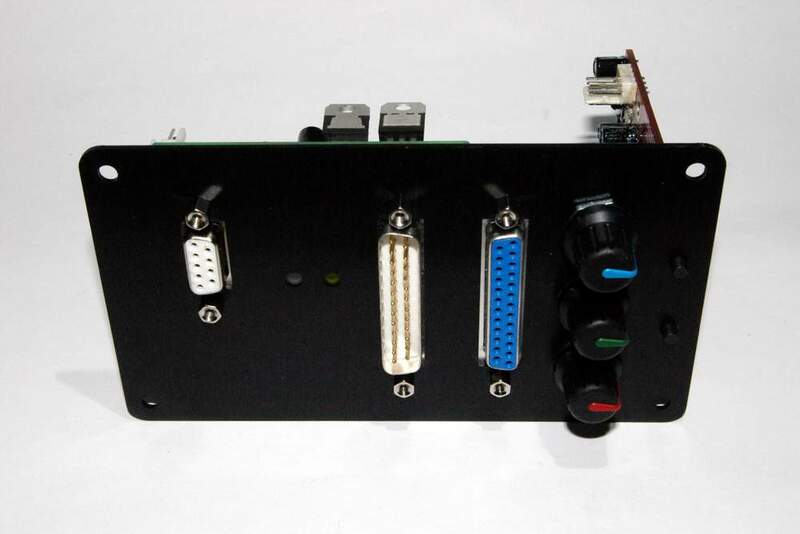 For the perfect finish to your projector these panels are designed to not only make fitting of out ILDA Interface boards much easier, but they enhance the look of your projectors rear panel. 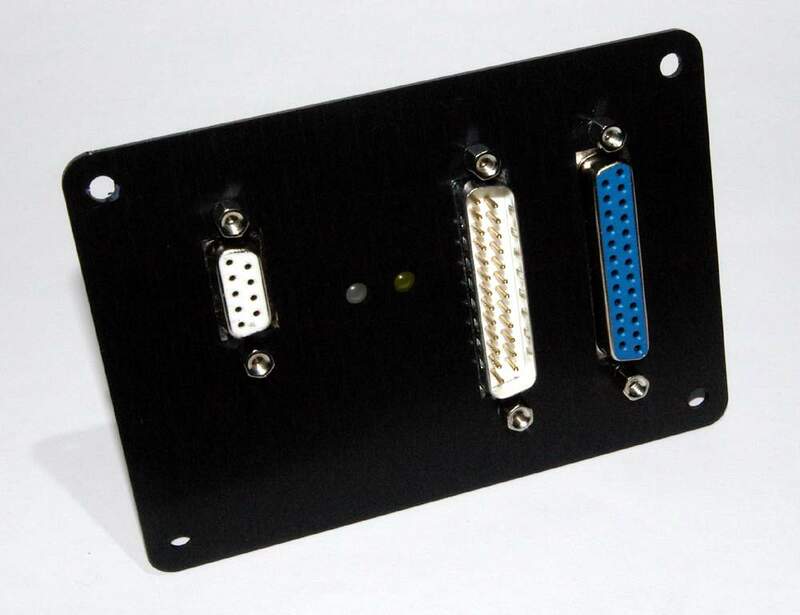 Made from anodised aluminium, the board mounts directly to the panel which can then be fitted into any projector old or new buy simply cutting a hole for the baord to pass though and drilling four holes to fix the panel. This panel is ideal for those who are not very mechanically skilled as the panel will fit from the outside covering up if you dont cut a line straight. 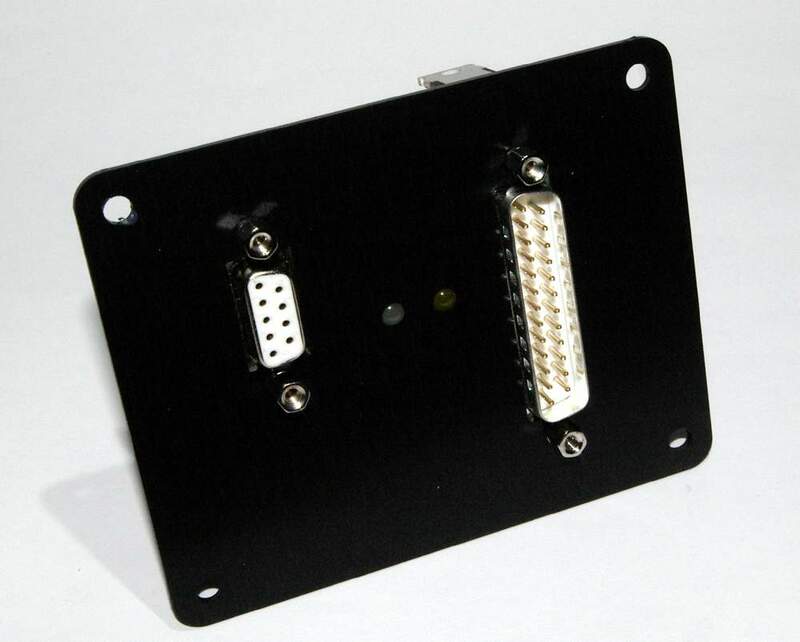 This product is supplied with fill fitting instructions and a cut out template to guide you in making the right sized hole in the projector. 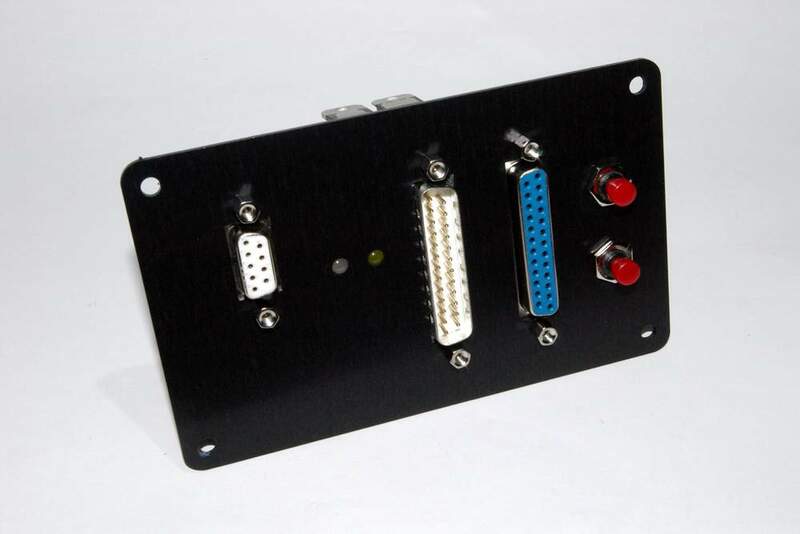 Each panel has holes for the relevant connectors LEDS on the ILDA board or provision for switches and pots where appropriate. 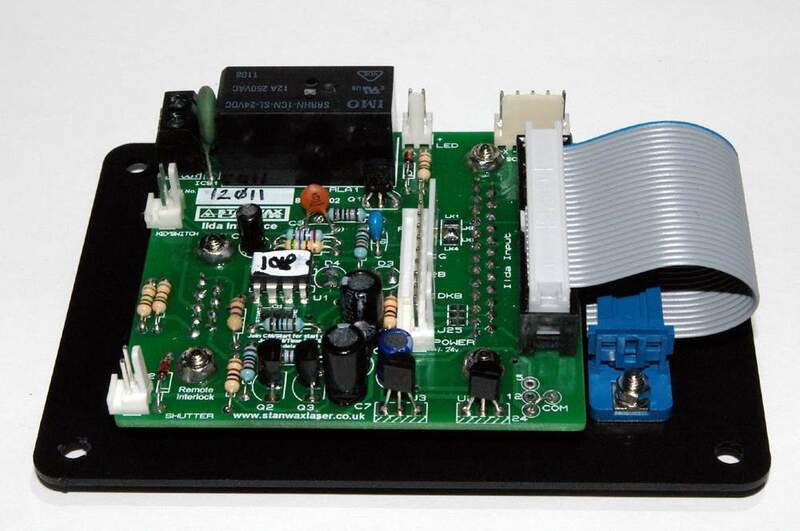 Note these panels can be used without our ILDA board with your own interlock connection & ILDA connections.